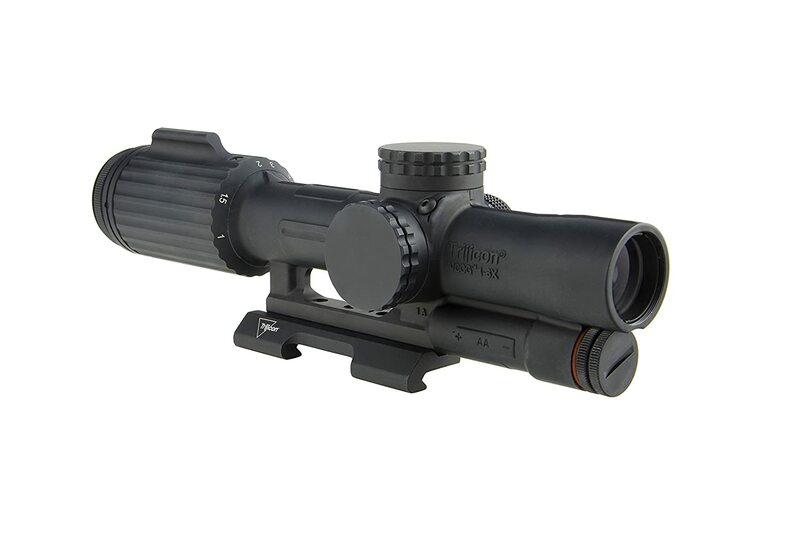 You are thinking of buying a rifle scope for your AR10 but have no idea of where to start. This article will HELP you by showing a list of the best scopes for AR10 with functionalities, uses, and practicality as well as critical factors when finding the optics. Aside from above, REMEMBER that the right AR10 scope for one shooter is not the best choice for the others. So, your best scope should depend on what you demand and prefer. What Makes a Great Scope for Your AR10? 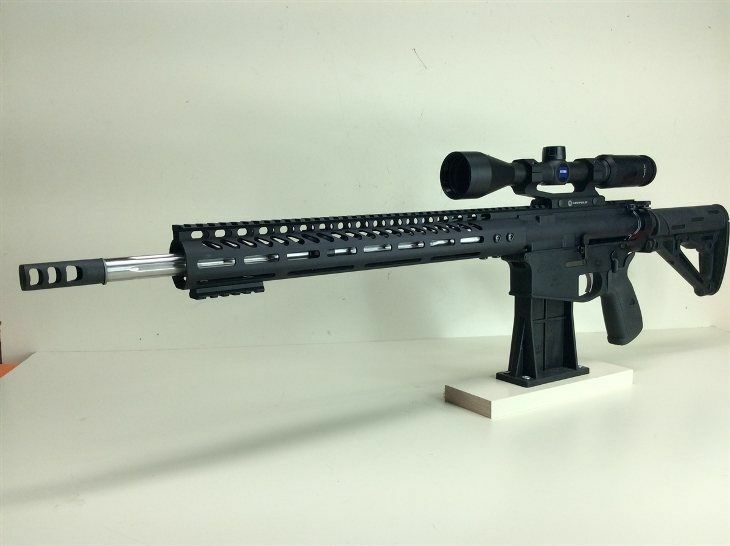 What to Consider When Buying the AR10 Scope? 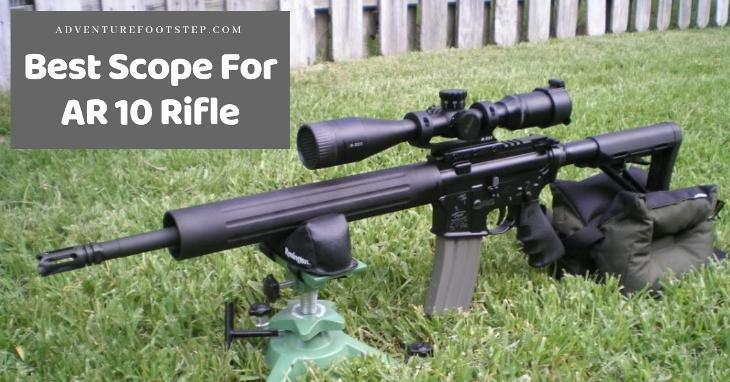 How to Mount a Scope on The AR10? The AR10 is basically similar to the AR15, except it is chambered for the bigger .308 Winchester round to offers greater range and power. Since the .308 can kill large animals better than the 5.56x45mm NATO round, the AR10 is famous for not only its long-range tactical use but also hunting. Its original manufacturer was ArmaLite, who built this rifle as a modern one for the US military. However, the AR10 didn’t get the success since the military wanted something lighter to shoot and carry with ease. That’s why ArmaLite decided to scale it down to accept the 5.56x45mm NATO round in the form of the newly-born AR15. As decades went on, the AR10 was still the shadow of the AR15. Until the last few years when the AR10 has been reexamined, its quality and the .308 Winchester round indeed recognized, making it a viable choice for hunting and fighting. In sum, if you need something smaller for home defense or clearing room, the AR15 is the best choice. In case you want to hit targets or perform big game hunting hundreds of yards out, you should consider the AR10. Instead of getting the AR10 only, the next important thing is to shop for an AR10 scope. Attaching the scope on your AR10 makes it become the most efficient weapon. It is because the optics allows you to zero in and view on targets that you cannot see with open sights. Simply speaking, your shooting performance will be greatly improved with this scope. And that’s what the rest of this post will help you. As outlined above, this rifle is sturdy and has an active firing range of 700m thanks to the .308 round. It can be used even for short range, medium range or long-range shooting as long as it is equipped with a different scope. For instance, if the AR10 with a 21-inch barrel is combined with a 9x+ scope, it can shoot over 1100 yards. In case you need to take short range shots (about 400 yards or less), finding a 1x-4x scope will be nice. Or for the medium range targets (between 400 and 700 yards), you should check a 4x-9x scope with an objective lens of 30-40mm. As a first-time buyer, you easily get confused over what to purchase since there is a variety of scopes available in the market. The following buying guide will help you know vital factors so that you can acquire the right one. Check them now. 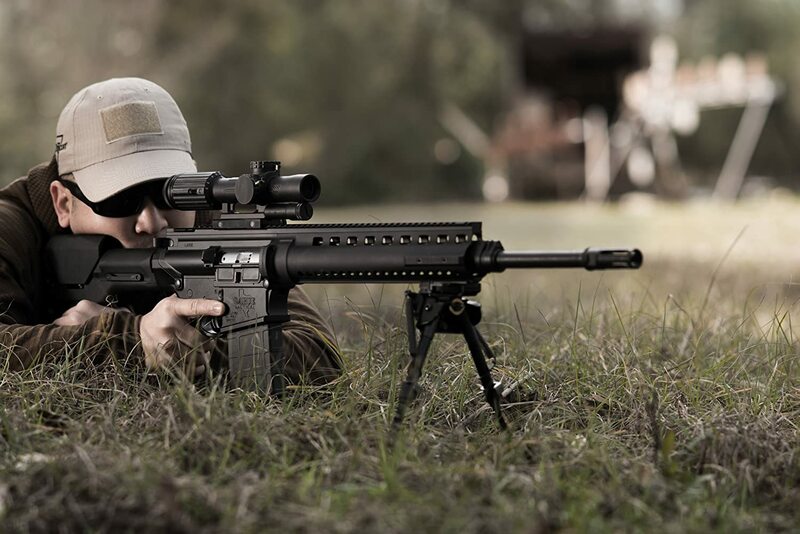 As a whole, the AR10 is a versatile rifle with lots of variations that it can be availed efficiently in both big game hunting, close quarters battle (CQB), and long-range shooting. Depending on your different tasks, the optimal magnification is the last goal, of course. 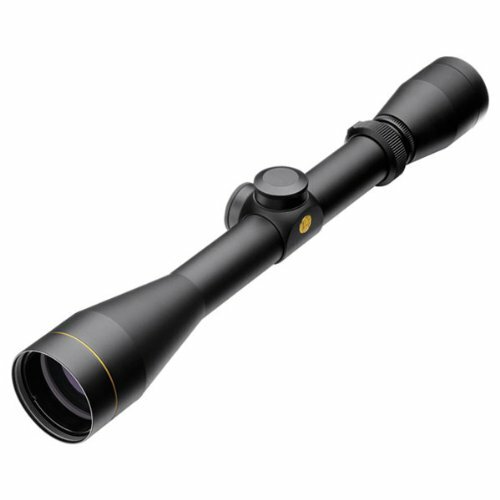 For example, the lower levels of magnification like 6x are suitable for target tracking and intuitive shooting. Meanwhile, the scope with 32x will offer a higher resolution. But it will be heavier and bigger, making mounting more challenging. So, you should take into account this issue carefully. The next consideration is the diameter of the objective lens. The scopes with the large objective lens will be clear and offer enclosed sight pictures, even at a long distance. The size is often expressed in “mm” after the magnification specification. 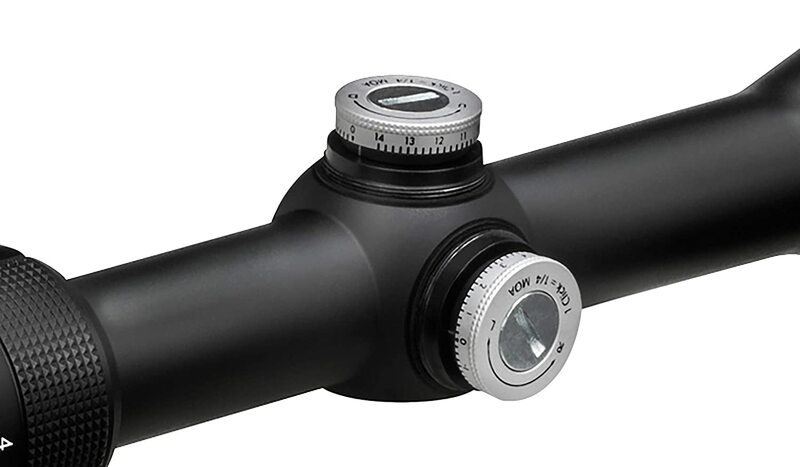 For instance, the scope with 3-9x40mm means that the diameter is 40mm. Additionally, selecting the larger objective lens helps you to capture more ambient light, giving a clearer and brighter image though it includes some issues. For example, the bulky size of the large lens will add more weight to your AR10. It even affects the balance of the rifle. Luckily, you can fix this by looking for a cheek riser. Since the reticle plays a vital role in accuracy, you must pay attention to it before purchasing. It is best to get a simple yet functional reticle instead of the fancy ones. Although there are different kinds of reticles, the common one should be the duplex one since it allows you to obtain the target quickly. 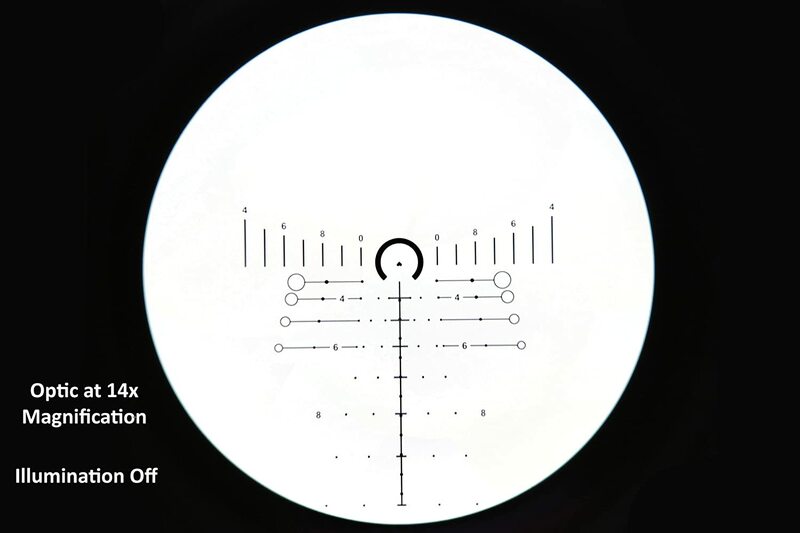 Or you also examine the BDC, Mil-Dot or RDC reticles to find the most suitable one for your needs. The eye relief is the distance between your aiming eye and the eyepiece. The distance is necessary to know whether you see the target clearly or not. One more reason is due to your safety. Usually, the bigger eye relief will protect your eye from recoil. But if it is too large, your eye will feel uncomfortable. So, the best eye relief should be between 3” and 4”. Another vital feature that you should consider is to choose the focal plane of the scope. The latest products often avail a second focal plane to give a consistent sight picture when you decrease or increase magnification. If you don’t shoot over 250 yards, there is no need for parallax adjustment. But if what you want is for long-range shots, you should consider it. It helps to lessen the demand to correctly align your eye to the scope and increase the odds for precision shots. And the ideal position is to place it on the side knob. If you want an exceptional scope for hunting, the Vortex Optics Diamondback is the best choice. 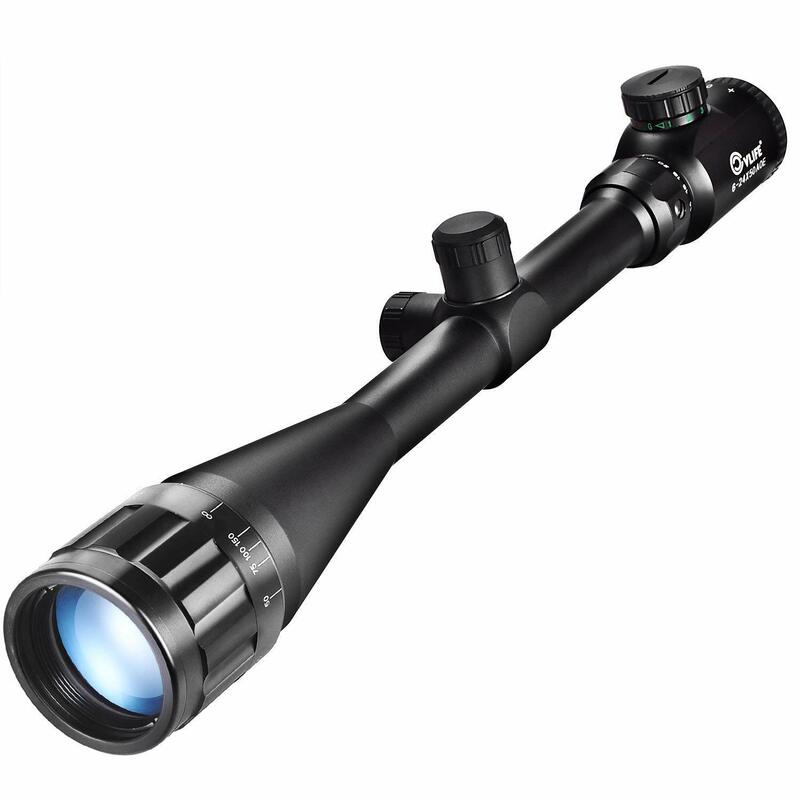 With the 4-12x magnification, this product is appropriate to short as well as long-range shots. The tube is also filled with argon that can prevent water, fog, and shocks effectively. The broad objective lens of 40mm allows you to get a clear sight picture. That’s why it is useful for big hunting at longer ranges. Another great thing about this scope is its Dead-Hold BDC reticle. Not only does it use a familiar reticle but also remove all the guesswork. It acquires even better with elevation and windage pop-up dials. More importantly, it is easy to use and come with clearly audible clicks. With lots of great qualities, the UTG BugBuster scope is known as an excellent pick to mount on the AR10. The 1-inch tube with emerald coating ensures to offer excellent light transmission and a nice bright, clear image. With ¼ MOA per click adjustments and mil-dot reticle, this unit allows you to get the best performance while shooting targets. Most importantly, the red and green illumination options is ideal for versatile applications on the field. They even bring a nice large field of view. Built on the company’s True Strength platform, this model is completed sealed and nitrogen purged. Also, it is fog-proof, shockproof, and water-resistant, allowing you to use it in a wide range of environmental conditions. 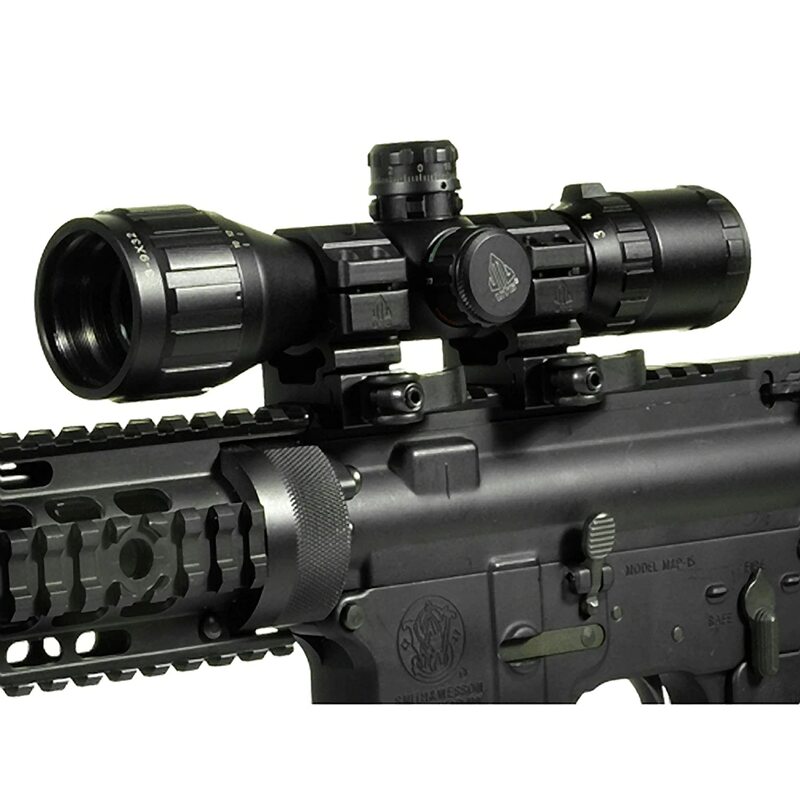 One more excellent choice for the AR10 from UTG is the UTG 3-12x44 compact scope. The 30mm tube with multi emerald coated lenses ensures to give you better light transmission. With an angled integral sunshade in the front, you easily determine targets in bright sunlight. As its name suggests, you can change the color of the reticle in 36 different colors together with the basic green and red modes. Also, the zero locking and resetting turrets can hold zero and provide quick calibration with the smooth controls. And if using a side wheel, you can adjust the parallax of the scope about 10 yards. If what you want is a reliable and sturdy scope that is ideal for long-range shooting and hunting, you should look to the CVLIFE Hunting Rifle Scope. Why do we affirm that? 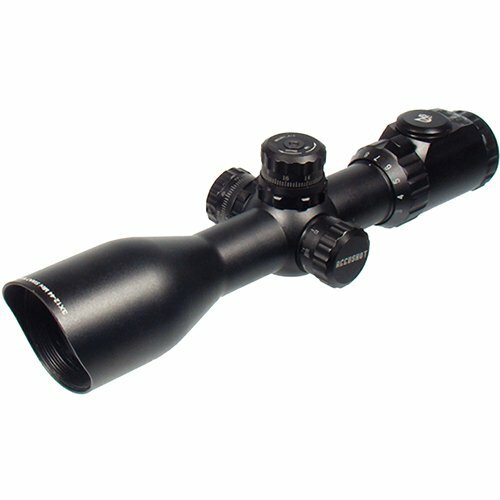 Firstly, its 6-24 magnification is designed as a long-range optics. The 50mm objective lens is also big enough for precise targeting. Not only does it offer excellent images in normal daylight but also at night. Moreover, the reticle includes traditional crosshairs that are illuminated in either red or green. Importantly, you can switch it off or gradually increase in brightness in different settings. The Primary Arms 4-14x44 is an affordable choice for those who want to solve the issues of clouded view and tough zeros in the field. The ACSS reticle of this unit effectively works with the AR10 to hold zero and enhance shot accuracy, even on moving targets. Since it is illuminated, it is still evident in black if the battery runs out accidentally. 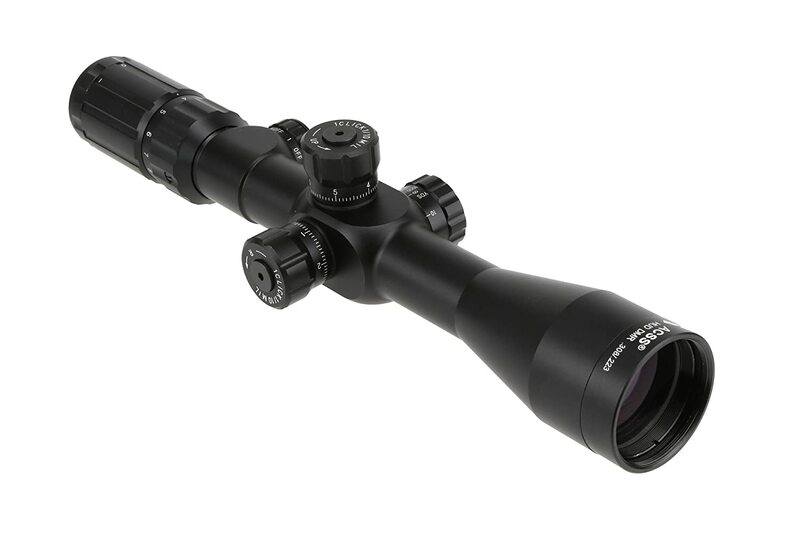 As its name suggests, the magnification power is 4-14x that is ideal for long-range shooting. And the 44mm objective lens allows you to perform a low-light shooting on high magnification efficiently. Although each 0.1 Mil click and 30 Mil internal adjustments are quite generous, some claim that the clicks are a bit mushy and need some improvements. Overall, this model offers excellent features to attach on your rifle. More important, it provides a 3-year warranty for any case. If you prefer to try a new brand, the Trijicon VCOG is the one you should consider. The optical glass is indeed outstanding. It provides excellent light gathering abilities that you cannot find in any optics. But the best part is that there is no distortion. That means you always acquire clear images and brightness. You even take down the targets in low light conditions with ease. Powered by a lithium AA battery, the illuminated reticle works well and prove to be a useful feature for determining targets in low visibility. 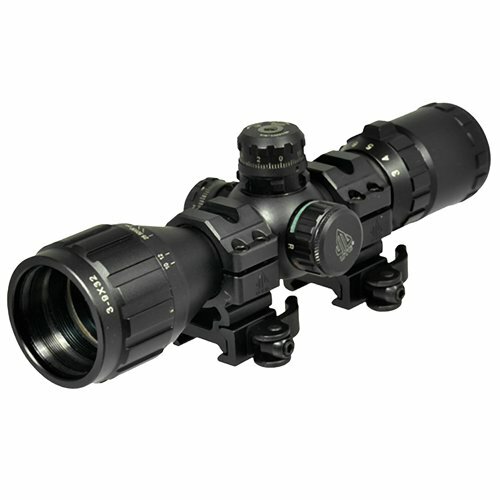 For all fantastic features, this product is known as a great choice for long distance as well as close quarter battle. If you are an experienced shooter, you soon realize that it is easy to get targets. With a limited magnification power of 3x-9x, the Leupold VX-1, a classic American hunting scope, is ideal for short to mid-range shooting. Its 40mm objective lens also offers a bright and clear image, even in low light conditions. The ¼ MOA precision finger click adjustments for windage and elevation provides dependability and repeatability. Wonderfully, the fast focus eyepiece helps you aim and shoot targets with ease. The 1-inch main tube is lightweight enough and seems to fit all mounting rings perfectly. Designed by Leupold, a famous brand in the US, this model is completely waterproof and fog. More importantly, it is super lightweight to mount on your AR10. Make sure you follow our guidelines carefully and then you can mount it on the rifle with ease. If this way isn’t perfect, you can try another way. However, it has worked for us over the years. The first step is to secure your AR10 so that it won’t move by using a vice. Then level it in the vice. The next thing is to attach the mount to the rifle’s bases and re-level everything. Remember to use a flat surface to run the level both perpendicular and parallel to the gun. After that, put the scope in the rings and ensure you have proper clearance between the rail/barrel of the AR10 and the objective lens. Continue placing a level on the flat portion of the turrets or knobs as long as the scope is level perpendicular and parallel to the rifle. Be careful when placing the top of the rings on the mounting bracket and align the parts. Remember to add a clear fingernail polish and then tighten the mounts a bit. At this time, avoid cross-threading the screws. It is best to tighten the screws from corner to corner or until reaching sufficient resistance. Finally, recheck everything with the level as well as visually examine to ensure the crosshairs are aligned correctly. I have the post about the Best AR Scope Mount. Read it and find the good mount for your ar scope!!! #1: Should I choose a variable or fixed magnification scope? In our opinion, a fixed scope is better and more durable than a variable one if considering the same cost. Additionally, the fixed scopes tend to be more consistent and reliable. That’s why most of the militaries choose them. #2: Can you tell me the best scope magnification? The least magnification that offers a clear target image will be the best choice. For instance, the 4x scope is suitable for big-game hunting (about 300 yards). Meanwhile, the 6x one works well at 400 yards. #3: How about the size of the objective lens? There is no exact answer to this question. However, it is best to always look through a scope if you can before buying. Relying on that, you are guaranteed to acquire a bright and clear image. #4: Can you explain why the scope adjustments are called windage and elevation? The adjustments are indeed horizontal and vertical. Meanwhile, the terms of windage and elevation are very old. But since they have been in use for a long time, they have become the standard nowadays. These terms are right for scopes that are fixed by turrets where you compensate for wind by controlling the reticle right or left and elevate the bore by controlling the elevation knob. #5: What do you know about parallax? Although understanding the parallax’s mechanics is not easy, identifying and dealing with it is quite simple. Firstly, let’s explain what parallax is. It is the shift the reticle to the eye or clear reticle movement. It occurs due to the inappropriate alignment of the scope with the eye or too much distance between the ocular lens and the eye. If you slide your head back and forth, the best way is to choose a place where there is no black surrounding the edges of the scope. Then you will get parallax with ease. Make sure you determine what your demands are first when it comes to buying one of the best scopes for AR10. Do you only need something for hunting? Do you want something for competition use or precision? Or you need an affordable scope since your budget is limited. Hopefully, our article above helps you know what you want. If you end up finding a model from this list, please share with us your experience. We’d love to hear it from you. Or in case you still have any question about this topic, leave it in the box below and get our answer within 24 hours.